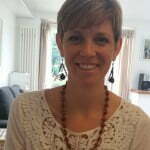 A guest blog from Julie Wood, who has asthma, practices yoga and is the Head of Communication and External Affairs for Cochrane. I am not at all surprised that the Cochrane evidence out today showed that yoga may be beneficial to those with asthma. I am a devoted yogi who has practised a combination of hot power and bikram yoga about twice a week for the past two years. In my early twenties I decided to take up running and noticed that I could hardly breathe by the end of a run. That started my journey of trying different inhalers in an attempt to control my asthma. I have never had a full on asthma attack, but I have for many years suffered from tightness and wheeziness in my chest that will wake me up at night. This occurs about twice a week even with regular use of my inhalers. My lung capacity is limited to the point that I can’t blow up a balloon. I have to actively manage this condition (and I have to confess that I don’t always manage it as well as I should). My husband first convinced me to try yoga. From the first class, I was completely hooked. I was sleeping better and had finally found a way to work out and relieve my stress. An unexpected benefit was how much yoga helped my asthma. I have reduced using my inhalers and I find myself coping better when I experience tightness in my chest. I wake up in the night due to trouble breathing only once every two weeks. I honestly couldn’t tell you if that is because there are so many breathing exercises in yoga that my lungs are actually getting stronger or that it has helped foster a greater awareness in my breath and so I feel more in control. Yoga is not without its detractors, particularly the type of yoga that I do. You can get injured, but as long as you seek your doctor’s advice, have a well-trained teacher who can help you make modifications and don’t try to go beyond your capabilities, there is no reason yoga can’t be practised by most people. And this is where I think it gets interesting—I think yoga helps me but is this all in my head? Because I think yoga will help me control my asthma, it does, but this effect could all be down to my belief. According to the evidence published today in the Cochrane Review, the strength of the evidence isn’t at a point where we can definitively say whether it does help people with their asthma, but the initial signs are promising. And while I feel a marked benefit, the evidence doesn’t necessarily point to as vast a difference across a group of individuals. Again, I think this points to the difference between what the evidence may say is most likely going to happen and what actually works for an individual. I will keep doing yoga and enjoy the benefits that I believe it gives me. These initial studies reinforce what I think about yoga, but only more and better studies will prove whether this benefit exists for more people. Julie Wood has no conflict of interest in relation to this article. Yoga helps my asthma: Julie’s story and new Cochrane evidence by Julie Wood is licensed under a Creative Commons Attribution-NoDerivatives 4.0 International License. Based on a work at http://onlinelibrary.wiley.com/doi/10.1002/14651858.CD010346.pub2/abstract. Images have been purchased from istock.com for Evidently Cochrane and may not be reproduced. Yang ZY, Zhong HB, Mao C, Yuan JQ, Huang YF, Wu XY, Gao YM, Tang JL. Yoga for asthma. Cochrane Database of Systematic Reviews 2016, Issue 4. Art. No. : CD010346. DOI: 10.1002/14651858.CD010346.pub2. Julie Wood joined the Cochrane as Head of Communications and External Affairs in 2014. Before that she worked in various advocacy, campaigning and communications roles at Oxfam GB and Oxfam International, including as the Director of Corporate Communications. She lives in Oxford and has two little girls. Her favourite yoga pose is standing bow. Moderate quality evidence and high quality personal experience. I think that is a great example of what we call EBM. Now breathe.